It’s easy to level accusations at the public sector, particularly when it comes to engagement with the business community. For example, the apathy that’s often shown towards public sector business support must be quite disheartening for those working hard behind the scenes in local authorities to come up with a service offering that can genuinely add value. However, I must doff my hat to Lancashire County Council and the Lancashire Enterprise Partnership (LEP) who appear to have come up with a great project to solve one of the major headaches facing businesses at the present time. We all read in the news about how skills shortages are hindering business growth across the UK. 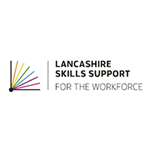 Last month, the county council and the LEP launched Lancashire Skills Support for the Workforce (LSS) – a £5.6m workforce training programme aimed at helping Lancashire plc up-skill its employees to achieve growth. Using cash from the European Social Fund, LSS will support almost 4,000 employees aged 19 and over by giving their employer access to free and accredited training from leading providers, such as their local college, based on their skills requirements. This is great news for Lancashire businesses and, in my opinion, it shows that the county council and Lancashire LEP are listening to businesses and responding quickly to genuine business need. The LSS delivery partnership currently comprises Accrington and Rossendale College, Age UK Lancashire, Blackburn College, Blackpool and the Fylde College, Burnley College, Joint Learning, Lancashire Adult Learning, Lancaster and Morecambe College, Myerscough College, Nelson and Colne College, Preston’s College, Runshaw College, VIA Partnership and West Lancashire College. The fund operates across the Lancashire Enterprise Partnership (LEP) area, which consists of Lancashire, Blackpool and Blackburn with Darwen local authorities. It will run until July 2015 – with places allocated to businesses on a first-come, first-served basis.